Ferndale Park. Pic by Google. Police are appealing for information following a report of an attempted burglary in the Ferndale Park area of Glengormley during the afternoon of Friday, March 3 and a subsequent burglary in the Leister Park area of Ballyrobert. 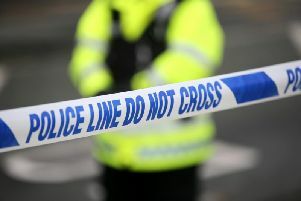 Detailing the incidents, a police spokesperson said: “Attempts to gain access to the rear of these properties were made however, it is believed the suspects were disturbed by the occupants and made off empty handed. “Detectives in Antrim would appeal to anyone who may have witnessed these incidents or who noted anyone acting suspiciously in these areas between 1:15pm and 2pm to contact them on the non-emergency number 101, quoting reference 485 and 539 of 03/03/17.